A black shirt and tie combination probably isn't the first combination that springs to mind when you think of office wear. When done correctly, however, it can give you a clean and contemporary look to rival any. Wondering what ties you can pair with your black shirt? Read on for more. While not the first option you'd think of, a black shirt is a versatile piece of clothing that can seamlessly integrate with a man's wardrobe and create a plethora of outfit options with it. While a simple black shirt works best in a smart casual setting, easily pairing with some smart trousers and a jacket - adding in a tie will, naturally, elevate the look with ease. 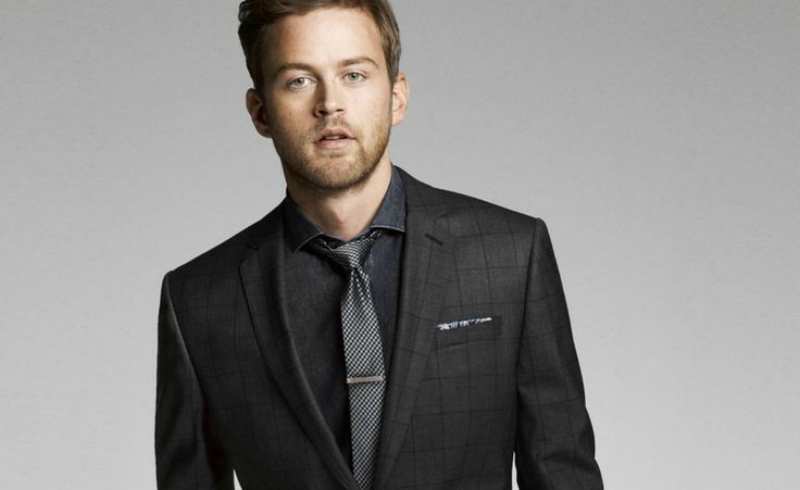 Alternatively, a three piece suit, black shirt and tie would be a great look for a formal event. To make your job easier, it's good to know about men's rules for black tie events. The look below is one of the simplest ways to wear a black tie / shirt combination, simply match your shirt with complimentary blacks for a clean look that exudes mystery. 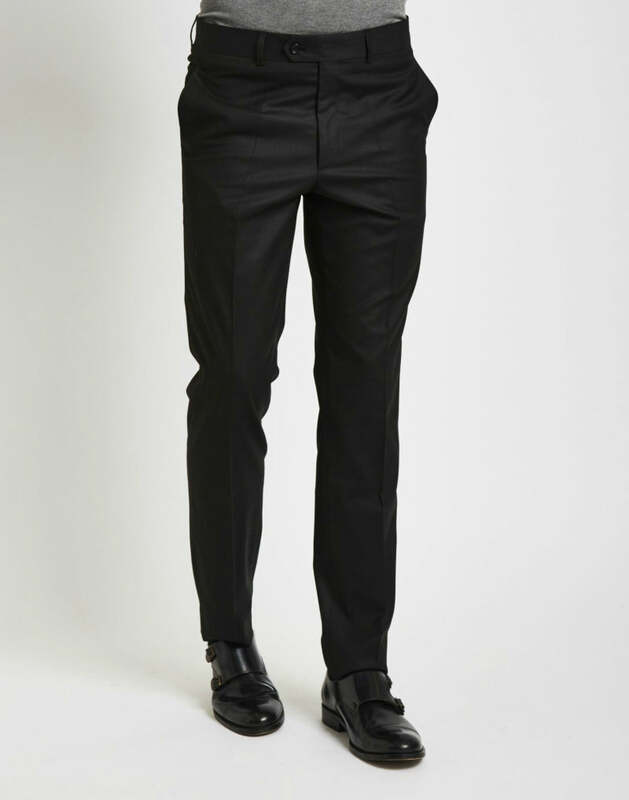 Another all black getup that works well, for dressier occasions instead of choosing a classic white shirt or a kitsch polka dot bowtie, add depth through the medium of texture. Colour wise, the look below is relatively uninteresting, however, the clever addition of textural differences with each layer creates a variation in the outfit - perfect for an understated, but stylish, outfit. For an understated, yet stylish, look - choose a light grey or black tie to pair with a black shirt. Without grabbing too much attention, a slight tonal accent will add further depth and character to an otherwise all-black ensemble. Another option would be to go a little bolder with a rich blue or red option. The trick here is to ensure you keep the tones relatively muted. You don't want to end up looking borderline comical with a bright or highly contrasting choice. If you're heading somewhere a little dressier, purple is another good shirt and tie combination if you're looking to stand out a little more. The regal associations with purple will add an air of sophistication to even the simplest of getups. The subdued, monochromatic appearance of an all-black shirt means your tie choice is going to be highlighted more than it typically would. This attention, however, allows you to opt for something a little louder than you usually would as there's no fear of any major colour clashing or harsh print-on-print action. 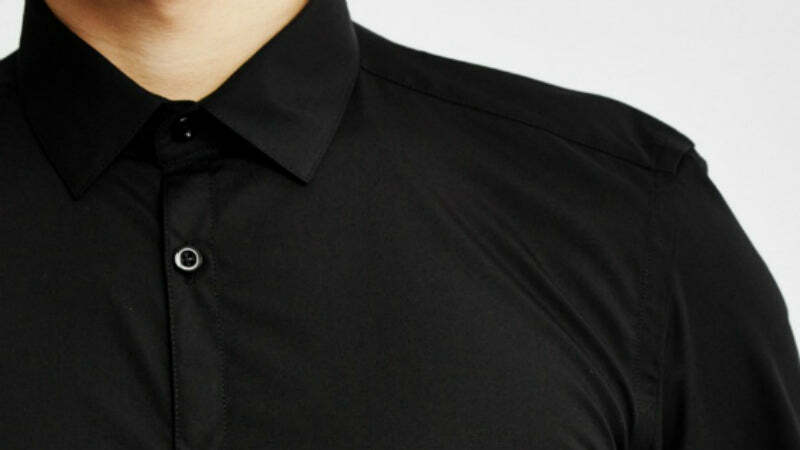 That being said, its still important to keep it in tune with the smartness of the shirt. Patterns are a good way of adding some personality to your tie but don't go overboard. It's best to go for subtle prints like stripes and polka dots. The shape of your tie is also quite important; slim ties look great for corporate events, whilst wider ties are generally better suited to somewhere a little more laid back like a family wedding. Consider material characteristics. Pairing an incredibly sheeny tie with a matte suit mightn't look the best, as with everything, it's best to try your combinations out before heading out the door. Try and match your tie with any other accent details on your outfit. A subtle colour match with some stitching, etc. will really tie the ensemble together. If you want to ensure the longest life for your new purchases, now is the best time to adopt a new washing routine and incorporate a few tips and tricks that have been tried and tested. Wash the clothes less: This may sound a bit unhygienic at first, but we're strictly talking about trousers and shirts. Black dye is released each time it's washed, leading to fading, so it's a good idea to only wash your black shirts when it's absolutely necessary. Do a 'dark only' wash: It's surprising how many people don't follow this rule! The dark dye will ruin your lightly coloured clothes, turning them a dirty grey colour. If the dark clothes are washed on their own, the dark dye that runs will be reabsorbed into the fabric, avoiding fading. Turn the clothes inside out: If you put black clothes in the right way round, the dye on the outer side of the garment will be lost first. Instead, turn them inside out so any dye is only lost from the part you won't see. Use cold water: Washing dark clothes in the lowest temperature possible is a good idea. The hotter the water, the more the dye is loosened from the fabric. Run short wash cycles: As well as not washing too often, it's best that the cycles are short when you do. More intense washing programmes will be too harsh for your black shirts. Grab yourself a specialised detergent: You can't get any better than a detergent designed to prevent colour from bleeding in the wash.
Avoid the tumble dryer: It might seem a nuisance at first, but heat is the enemy when you're trying to protect dark clothes. The same goes for drying them outside, as sunlight acts as a natural bleach that fades the colour. The best way is to dry them inside over a clothes airer. Choose the materials wisely: Linen may look lovely, but it's impossible to remove the creases and it's well known for fading easily. Stick to cotton, wool blends and nylons to keep the colour for longer. When matching ties with a black shirt, the key is in the subtlety. Although an all black shirt gives you a relatively blank canvas, it's best to maintain a level of smartness with understated prints and muted colours. Our advice is to stick to black, grey and muted primary colours with minimal print or patterns. If you want to create an alternative look, step away from the classics and add a unique twist to your office wear, then the black shirt could be for you. Remembering all the tips and tricks for choosing the best black shirt and tie combinations for your wardrobe may seem daunting, but once you've a few pairs that you know will work together - you're sorted. If you're still a little lost, take another look at some of our suggestions above, and if you're ready to take the plunge - shop all of our shirts by following the link below!